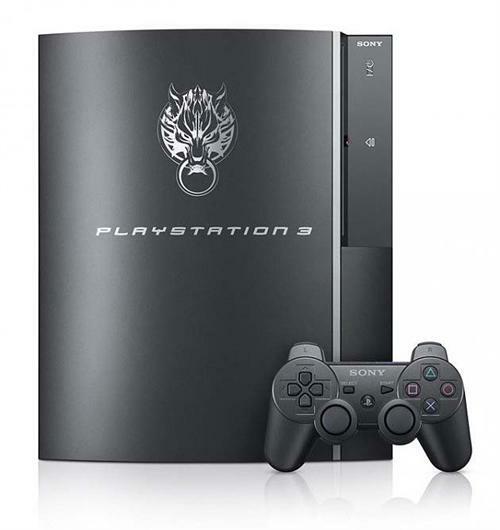 Due to the overwhelming response for the PlayStation credit card and its holiday introductory offer, we�ve decided to extend the PS3 hardware savings to those looking for added incentive to sign up for their very own branded plastic. You have until the end of March to apply for your PlayStation Card here. Hi there, I�m Tom Farrer the Producer on Mirror�s Edge and with the release of the free and exclusive PLAYSTATION 3 Time Trial map on the 29th looming ever closer, I thought I would share some of the thinking behind it. Savage Moon Coming to PSN Tomorrow! Hey everyone, Aaron Luke (Designer) here to bring you the next installment of the MLB 09 The Show blogs. This entry will focus on the enhancements to Road To The Show. This year�s edition of RTTS has received enhancements to nearly every aspect of the mode. Happy Lunar New Year from LittleBigPlanet, Plus a Special Video from Media Molecule! Light those firecrackers, collect �lai see�, and eat all the �niangao� you can; you will need all the energy you can get for LBP�s latest update. MotorStorm Pacific Rift Game Update Just Around the Corner! The first major update for MotorStorm Pacific Rift is currently in the final stages of development and testing. This update contains many improvements and amendments to the game, as well as fixes to several issues reported on the forum, and is scheduled for release in the near future. 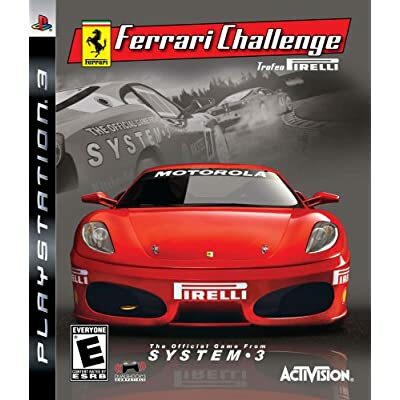 Ferrari Challenge for the PS3 is $30 today. Should be fun while we wait for GT5. Stop and Smell the Flower on PSN February 12th	— Yesterday I talked to creative director Jenova Chen about Flower, and man is this something special. PSP 5.03 Update	— It ain’t flashy, but system stability is a very good thing. It’s been a while since I last posted and I want to pass along some news about another great opportunity for all you Guitar Hero World Tour players. Hi again! The weekend�s almost here. It’s time for your weekly update of new movie & TV shows on the PlayStation Network. Finish Them! Mortal Kombat Devs Challenge You Tonight! Killzone 2 has gone Gold! Today is the 56th U.S. Presidential Inauguration, and a good cause for showing your American pride. We�re going to help you get in the spirit with the release of the new BUZZ! Quiz TV American Culture Quiz Pack on PlayStation Network this Thursday, January 22. MLB 09 The Show � New and Improved A.I. The Final Fantasy XIII "Cloud Black" Playstation 3 features a white ink etching of the Cloudy Wolf on the top shell. In case you're wondering, the Cloudy Wolf is Cloud Strife's personal symbol. 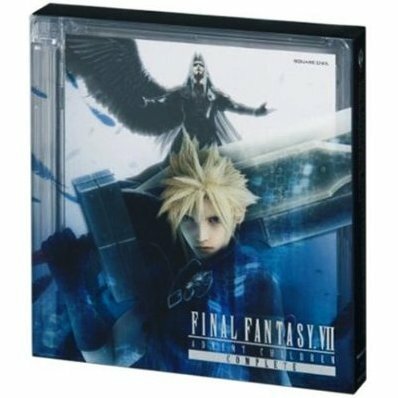 This 160gb PS3 is a collaboration between Sony and Square-Enix to introduce the Final Fantasy VII Advent Children Blu-ray disc. As a bonus the bundle ships with a Final Fantasy XIII demo for the PS3. It will be available on April 16, 2009. Click here to pre-order. Hi, everyone, we have a system software updates for PS3 coming soon, and I wanted to provide you with a sneak peak at the details. Hi! I am really happy to finally let the internets know the official launch date for Flower. Hooray for releasing games (It�s really my favorite part)! Wow, looks like we read *a lot* this week. Lots of great post-CES impressions out there, lots of reasons (between nine and 50 million) to look forward to what 2009 has in store. Please share what you read and heard this week with us in the comments below. CES 2009: Who Won the Street Fighter IV Event? — As if there was any doubt. Team PlayStation FTW! MLB 09 The Show - Franchise Mode Enhancements — Manage new 40-man rosters and overpay A-Rod, then cry when he under-performs in the playoffs again! You have heard a lot about Resistance: Retribution since it was announced at E3 2008. Whether it�s the innovative aim-assist, the pedigree of the development studio, the music by Gary Schyman, or the revolutionary Resistance Connect features; you know there is a lot that�s going to be packed in to a little UMD. CALLING ALL SKILLED LBP CREATORS - We Want You for Winter X Games 13! If you are a LittleBigPlanet creator and live in or around Aspen, Colorado, LittleBigPlanet and the Winter X Games wants you! Hi again! The weekend�s here, and that means it’s time for your weekly update of new movie & TV shows on the PlayStation Network. Ultimate Ghost �n Goblins will be available for download on the PlayStation Network Store tomorrow. Let's compare it with Ghost `n Goblins on the Commodore 64 released 23 years ago. YouTube on your PS3�in Full-screen! Hello once again, and welcome to the Magic Ball blog! Magic Ball (available today, January 15 for $9.99 on the PS Store) is another addictive game from Creat Studios and TikGames and it�s filled with fast action, great humor and giggle-inducing fun. Welcome back for another edition of �Sack it to me�, where we provide updates and answer some of the burning questions within the community. If you�ve missed some of our answers, check out our previous weekly posts, here. Get LocoRoco 2 for the Cost of Just Two Movie Tickets! Ultimate Ghost �n Goblins Available Tomorrow on PSN! Hey everyone - MLB FE team here to bring you the first installment of the MLB 09 The Show blogs. For this entry, we�ll be talking about some of the details that have gone into the Franchise mode enhancements. Two blog entries in almost as many weeks! Hopefully you aren’t too bored of me yet! That’d be Team PlayStation, as represented by Joe C. (no relation to this guy) in the CES Street Fighter IV event. Wanna play Street Fighter IV? Shoryuken for Team PlayStation! - Today is the day. Go forth and seek victory…Miyagi have hope for you! Hi again! The weekend�s here. It’s time for your weekly update of new movie & TV shows on the PlayStation Network. You’ve seen the trailer, now get your guided tour of EA Sports’ Home space from the CES show floor. EA Senior Producer Robert Burnett shows off the digs, talks mini-games, stat progression, and exclusive poker bracelets for you high rollers out there. Hey, we’re in Vegas! Wow! We got an immense response to our recent unveiling of the 88 Special � an incredible hovering car! But, the 88 Special is just a one quarter of our forthcoming Legendary Cars pack. Now it�s time to show you the 3 remaining cars. Episode 08 of Qore: Presented by the PlayStation Network travels to the Netherlands to go inside Guerrilla and get an exclusive look at one of the new year’s most anticipated games, Killzone 2. From the Consumer Electronics Show in Las Vegas comes big news for PlayStation Home. EA officially announced its plans to launch the EA Sports Complex in the Home Beta this spring, the first Home space from EA. How big is Sony’s booth at the Consumer Electronics Show this year? So big they’re filming episodes of Jeopardy! on-site (no Trebek sightings for me yet, but that will hopefully change today). The Qore team�s put together a terrific show to kick off 2009 as Qore � Episode 08 hits the PlayStation Store tomorrow and features some of the hottest games appearing on PLAYSTATION 3 in the first part of the 2009. For those of you who haven’t already met me, I’m CydoniaX, the PlayStation Home Community Manager. I wanted to give you a quick update on new content coming to PlayStation Home this week. Here at PlayStation.Blog, we’re always looking to improve your user experience. I’m happy to announce that two often-requested features are nearly ready to be implemented: PSN sign-in and author comment-reply indicator. How many of you are dreading having to go back to school/work on Monday? 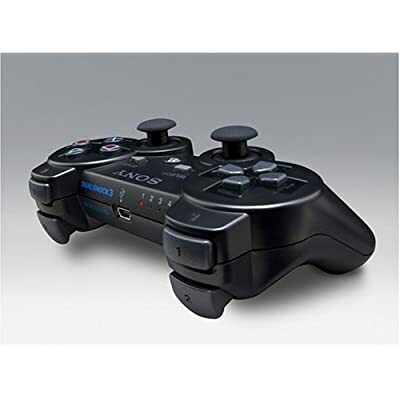 PS3's DualShock 3 is $39.99 today. Happy New Year from Q-Games in Kyoto! A Happy New Year from here in Kyoto, Japan, one of the earliest places in the world to greet 2009 (being a whole 17 hours or so ahead of the West coast of America for example).